FEW OF THE TERRORIST organisations in Irish history have rivalled the Irish National Liberation Army when it comes to ruthlessness, viciousness and savagery. There have been numerous books on the IRA and several on the loyalist paramilitary groups but until now the INLA has been neglected. The prologue, The Road to Darkley recalls the massacre of Pentecostal worshippers in November 1983 by three INLA gunmen. Ironically, the INLA had been founded by republican socialists who sought to establish James Connolly's dream of a united nonsectarian socialist Irish state. To cover up this blatant contradiction between rhetoric and practice the killers adopted the fictitious name 'Catholic Reaction Force' and expressed regret that they hadn't killed twenty or more Protestants that Sunday night. So where did the INLA come from? The popular media often describe it as an 'IRA splinter group'. This gives a false impression as the people who founded the INLA never had any connection with the Provisional IRA/Sinn Féin. In fact the INLA has its roots in the Official republican movement which has since evolved into the Workers' Party and Democratic Left party. The founding father of the new movement was an Official Sinn Fein councillor on Bray Urban District Council, Seamus Costello. Costello was both a military and political activist who became impatient with what he saw as the Official IRA's 'reformist' political and military line. The 'Sticks' had declared a ceasefire in 1972 which led in the space of two years to the disintegration of the movement. Local disputes broke out and problems occurred with the British army and the Provos. Costello led the discontent in the ranks. He was suspended from Official Sinn Fein and court marshalled by the OIRA whilst his supporters were purged from the movement. He then organised his own faction and sought to make a clean break with the OIRA. He didn't expect to have serious trouble. He was wrong. The Officials, like all Stalinists, didn't want another competitor - they sought to wipe out the Costello party before it could become a serious threat. Costello launched his new party at an open conference in a hotel in Lucan, Co Dublin in December 1974. The party was to maintain the policies of Official Sinn Féin before the 1972 ceasefire and to re-establish the link between revolutionary socialism and Irish nationalism. The new group was named the Irish Republican Socialist Party - a nod in the direction of Connolly whose Irish Socialist Republican Party was founded in 1896. Of course Connolly also had his Irish Citizens' Army and there was a secret second meeting at the same hotel. There the armed wing of the new party was secretly established with Costello as Chief of Staff. In public, Costello denied the existence of a military wing, insisting that the IRSP was purely political, but as the authors wryly observe, it is difficult to explain how a mere political party could manage to attract recruits from the Official IRA on the grounds that the Sticks were not militant enough! The new year, 1975, was a time of great tension. There was a shaky Provo ceasefire. Secret talks were taking place between the Provos and the Wilson government. The UVF/PAF were very active. The new group made a lot of headway in Belfast, particularly in the former Official strongholds of the Markets, Whiterock and Divis. Many new recruits were from Fianna Éireann, the Official IRA's militant youth wing. The atmosphere between the OIRA and the new group quickly degenerated from a war of words to a full scale feud. The OIRA, however, failed to crush the new group, which even at this early stage, showed itself to be dangerously undisciplined, especially in relations between the Dublin-based leadership and the members in Belfast and between the IRSP and what became known as the Irish National Liberation Army. The pattern of former comrades cruising the streets of Belfast, hunting down one-another was repeated time and again in the short bloody history of the INLA and its vicious offshoot, the Irish People's Liberation Organisation. Once established, the INLA/IRSP showed an initiative which occasionally upstaged the Provos. They perfected the mercury tilt switch which was used most effectively to detonate the bomb which murdered Airey Neave MP on the eve of the 1979 election. The IRSP was at the forefront of the agitation over the removal of special category status from prisoners convicted of terrorist offences at a time when the Provisionals regarded it as a distraction from the armed struggle. Again, during the hunger strike of 1981, Provisional Sinn Féin stood aside from elections, maintaining their traditional abstentionist policy. The IRSP won two seats on Belfast City Council and came close to gaining another. Ironically enough, for a group so prone to vicious factionalism, the republican socialist movement was a strong advocate of a `broad front composed of all organisations and individuals at home and abroad who are prepared to assert the right of the Irish people to full control of their own destiny.' This again pioneered the pan-nationalist strategy advocated by Gerry Adams some fifteen years later. In the case of the IRSP it failed. The feud with the Officials had weakened the IRSP as a political party. It almost collapsed after Costello's assassination by the Official IRA in 1977. Nevertheless an armed robbery in 1978 transformed the finances of the party and helped to re-arm the INLA. 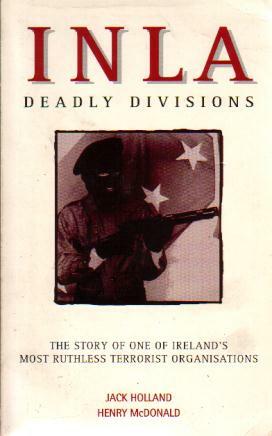 Deadly Divisions gives details of how the INLA planned and executed the murder of Neave, an attempt on the life of the British ambassador in Christchurch Cathedral in Dublin and the Droppin' Well massacre in Ballykelly, Co Londonderry where 18 people died in a bomb outrage. The careers of many of the INLA's most notorious activists are chronicled in detail, particularly Dominic McGlinchey, Dessie O'Hare, John O'Reilly and Gerard Steenson who as a sixteen-year old had murdered Billy McMillen, the Belfast Official IRA leader. By the mid 1980's the IRSP had become a politically irrelevant sect spouting Marxist-Leninist claptrap. This was no great worry to the INLA as in most areas the armed wing had more members than the party and had no great regard for it. In INLA ranks naked sectarian hatred of Protestants was more relevant. More seriously, the INLA had become a collection of mutually suspicious petty fiefdoms. Two supergrass trials had put key activists behind bars for a while. Inevitably another bloody feud began which was stoked up as the prisoners were released when the supergrass cases collapsed. The authors also give a full account of the short and vicious career of the IPLO which emerged from the 1986/87 bloodletting. These people were seriously nasty. Despite their Marxist credentials, fronted by their political spokesman Jimmy Brown, they were a sectarian, criminal gangster element. The IPLO Chief of Staff s personal view on the Protestant community was that they are like 'Afrikaners who are irreformable'. According to the authors, his analysis is similar to that of the Pan-Africanist Congress 'One Boer - One Bullet'. IPLO men launched attacks on unionist politicians, most notably George Seawright, suspected loyalist paramilitary activists, Protestant businessmen and drinkers in pubs in Protestant areas. The IPLO also began dealing in drugs and attracted many criminals and 'hoods' who saw it as a means of protection against the Provos. Inevitably the same indiscipline and factionalism which had plagued the INLA from its inception broke out in the IPLO. This time it was also fueled by disputes over money from drug profits. The authors quote a leading UDA man who predicted that 'the big tiger would pounce on the wee tigers when they had finished tearing each other apart.' This happened on Hallowe'en 1992 when the Provos killed two leading IPLO men, kneecapped members of both factions and expelled others. The IPLO was forcibly disbanded by the Provisional IRA who took the opportunity to re-assert their authority in Catholic areas of Belfast. So what of the INLA today? An interview with 'Cueball' the current Chief of Staff shows that the organisation intends to continue. It seems likely that its internal contradictions remain. The INLA has no mass bass of support so it is impervious to any criticism from within its host community. It will continue to be dangerous. There is also the added danger that the rump INLA will be licensed by the Provos to carry out more overtly sectarian outrages which the latter would not wish to acknowledge publicly. 1t is still a real threat. 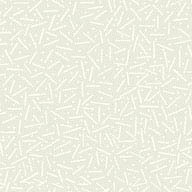 The authors have taken painstaking efforts in producing this work. Buy this book if you want to know where the INLA came from. It has useful appendices and the index is exhaustive. It would have been better had the authors looked at the extent of penetration of the movement by the British secret state. The conviction in England last December of two INLA volunteers who were set up by Pat Daly, an INLA intelligence officer and MI5 agent, was not mentioned. Everyone knows about Brian Nelson who had a similar role in the UDA but Daly's story has yet to be told. Perhaps there will be a second edition soon.